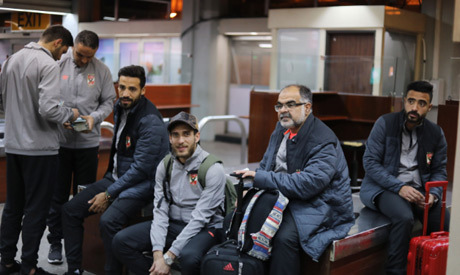 Ahly first team squad arrived to Tanzania's capital Dar El-Salam Sunday morning to face Simba Tuesday in the 4th round of the CAF Champions League group stage. Ahly will do without defender Saad Samir and forward Ahmed Hamoudi due to muscle injuries. Ahly is leading the Group D team table with seven points, three points over second place AS Vita Club of DR Congo while Simba placed third with three points. Algerian side JS de Saoura is at the bottom of the group with only two points. The CAF Champions League finalists last season, Ahly achieved victory in two games 2-0 over Vita Club and 5-0 over Simba while they drew in one game against JS de Saoura away from home.